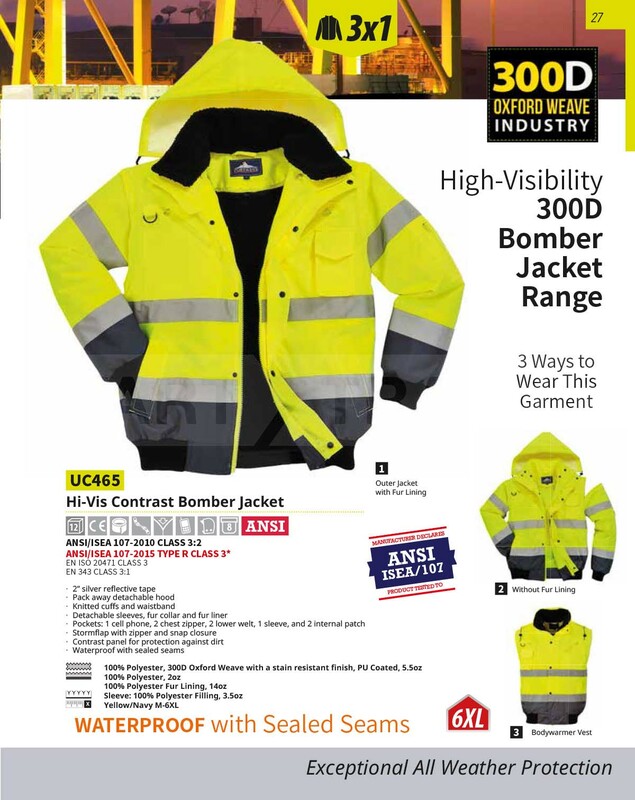 This high visibility bomber jacket has removable sleeves and removable lining that allow the jacket to be used in a variety of seasons and climates. 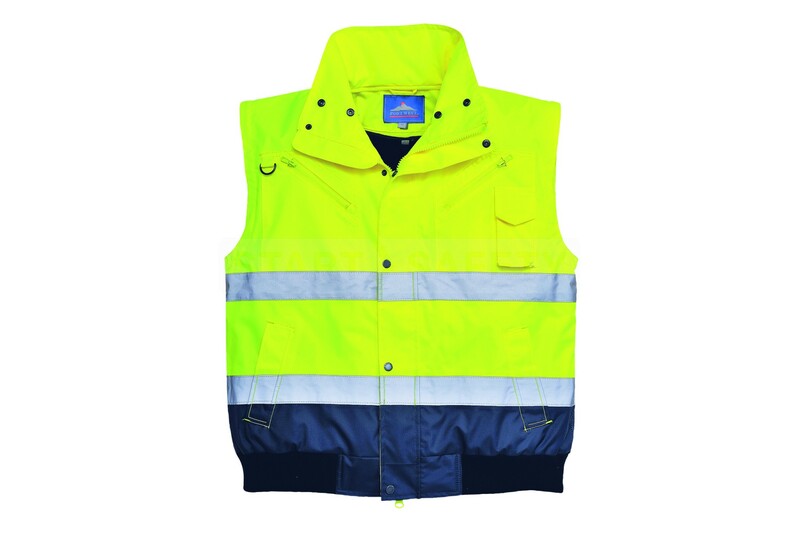 The removable sleeves have elasticated wrists to keep draughts out. The 300D fabric is waterproof and all seams are taped and sealed. The zipper on the body is double sided so can be unzipped upwards as well as from the top. The waistband is also knitted and elasticated so it fits all sizes comfortably. 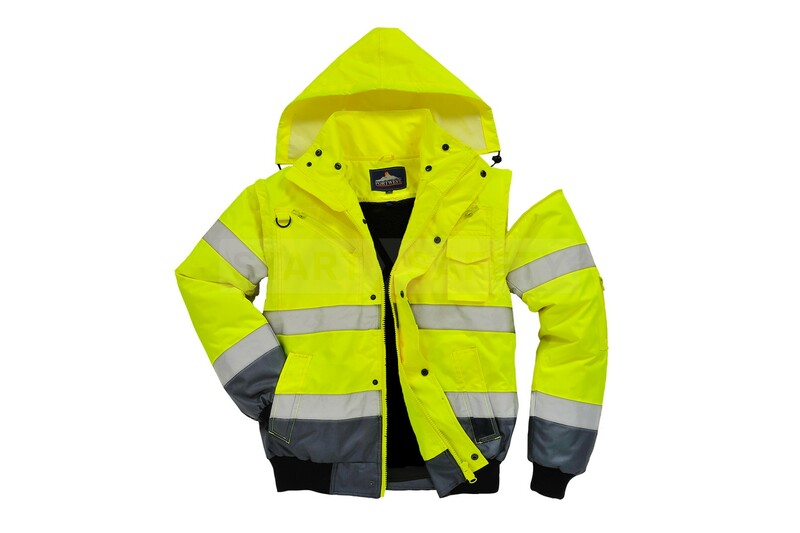 The lower contrast band protects against dirt, keeping the jacket looking clean and easily seen even in dirtier environments. The hood is pack away so can be folded up and tucked in when not needed.